Detroit, mid-1930s: In a city abuzz over its unrivaled sports success, gun-loving baseball fan Dayton Dean became ensnared in the nefarious and deadly Black Legion. The secretive, Klan-like group was executing a wicked plan of terror, murdering enemies, flogging associates, and contemplating armed rebellion. The Legion boasted tens of thousands of members across the Midwest, among them politicians and prominent citizens-even, possibly, a beloved athlete. 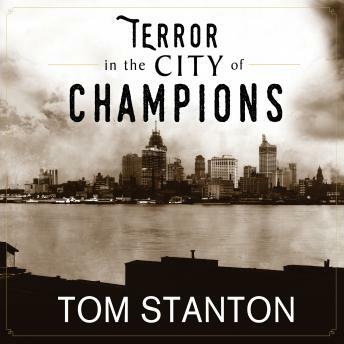 Terror in the City of Champions opens with the arrival of Mickey Cochrane, a fiery baseball star who roused the Great Depression's hardest-hit city by leading the Tigers to the 1934 pennant. A year later he guided the team to its first championship. Within seven months the Lions and Red Wings follow in football and hockey-all while Joe Louis chased boxing's heavyweight crown. Amidst such glory, the Legion's dreadful toll grew unchecked: staged "suicides," bodies dumped along roadsides, high-profile assassination plots. Talkative Dayton Dean's involvement would deepen as heroic Mickey Cochrane's reputation would rise. But the ballplayer had his own demons, including a close friendship with Harry Bennett, Henry Ford's brutal union buster.